Many women get color matched right to skin tone and are unhappy with the results, since it can end up looking too washed out. In this case, going for a warmer tone <<< buy here (one that has yellow or golden undertones)—especially if you’re very pale or have aging skin concerns—can actually look more natural and flattering. Topping with a warm shade of blush will also help with tone correction here. If you’re tan or deeper toned, stay away from pinkish hues. Whether it's acne or wrinkles that you want to cover, heavy foundation concealing will actually cause the difference in skin texture. So, use primers to improve the looks of discoloration and fine lines, and concealer on blemishes instead of caking your face all over with foundation. 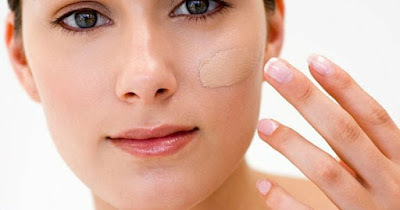 Whatever type of foundation you use, it should seamlessly blend into your skin after applying it. You'll then get coverage without heaviness, and the finish appears natural. Most of the time, powder can settle into pores and lines on dry skin, while liquids can look too wet on oily skin. However, creamy textures often hit the right note of providing flattering coverage with a natural finish on most. You'll need to take some experiments to find out what looks best on your skin types. Most women wearing makeup is to apply a blanket of foundation and powder to the face and to over-conceal. 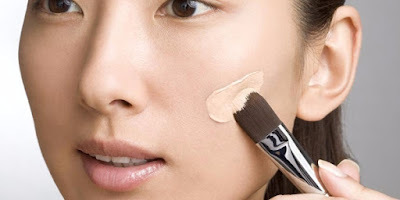 It's recommended to only apply foundation as needed, and then going into specific areas with concealers, like the under-eye and acne, blending with the warmth of your finger. Then, finish with powder only in the center of the face, where it’s truly needed; overdoing it can kill your whole look. Take a look at some popular yet affordable foundations here. The year was 2014, and we saw fewer customers walking around in department store shopping for premium beauty care products. We firmly believed that high pricing model was the cause. So, since it was 2014 and anything seemed possible at the time, we decided to start an online beauty retailer that sells amazing cosmetics at low prices... and Gembira.com.my 购美乐 was born! Our original idea was to create a "beauty 4 less" website that offered the absolute best selection in beauty products in terms of brands, styles and prices. Over the years, the brand and aspirations have evolved, and in addition to offering the best selection, with the goal to be the company that provides the absolute best service online. We believe how important it is to get parcels delivered to customers as quickly as possible to let customers think about shopping online again, so at Gembira, we have put a lot of focus on making sure the items get delivered within 3 business days. What's more, we also offer a 30-day free return policy, free delivery over RM99 purchase and multiple payment methods.